If you are in pain when you come into our chiropractic office, our first objective is to help you reduce pain and start feeling better as soon as possible. Depending on the severity of the underlying condition which is causing your pain, it is typical for a patient to need chiropractic care or adjustments 2-3 times per week for 4-12 weeks. During this phase of care it is very likely that you will also experience various forms of therapy we offer in the office. During the corrective phase of chiropractic care, muscles and other tissues are allowed to heal more completely, which helps prevent further injury or pain. The goal of corrective or restorative chiropractic care is to help bring your body back to optimal function. It is typical to need chiropractic care or adjustments about 4-8 times per month for 6-24 months, depending on your overall health and the severity of your problem. Also, during this phase of care we may have you do specific functional exercises in office in order to optimize corrective process. Once your body has fully healed and you are no longer experiencing back pain or other pain symptoms, it is important to come in for periodic chiropractic adjustments to avoid further problems in the future. Usually, this phase of chiropractic care only requires a quick visit to the chiropractor 1-4 times per month, based on your lifestyle and goals. At this point in your care we will ask that you continue doing 'spine-healthy' exercises on your own. Pinnacle Chiropractic and Family Wellness believes in the value of chiropractic care for you and your family toward the goal of achieving total health and wellness. Therefore, we have created a pricing structure that is flexible enough to allow you to get the chiropractic care you need, no matter what your budget. Our chiropractic office participates in most insurance programs, but please call us at 479-715-6772 if you have any questions about whether you can use your insurance to pay for your chiropractic care. For patients who have little or no chiropractic insurance coverage, flexible payment programs can be arranged. 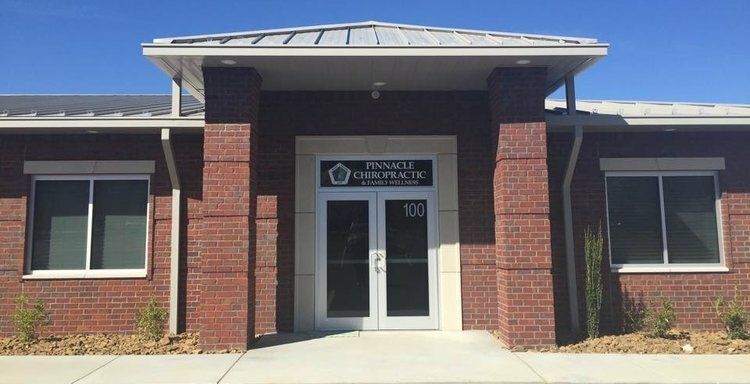 To learn more about our payment options for chiropractic and wellness care, you can call us directly at 479-715-6772 and one of our friendly staff will be happy to answer all your questions.